Are you always on-the-go? Are you looking for a tea mug that will let you have a refreshing cuppa tea anywhere? Do you enjoy the taste of loose tea? If your answer is yes, then you are looking for a tea mug with infuser. Be it loose tea or tea bags, a mug with infuser will definitely be useful. The detachable infusers or strainers that come along with these mugs are able to filter elements in the tea that you don’t want in your mouth. These are designed to bring out the best of your tea-drinking experience wherever you may be, retaining the warmth of the water for a long time and making sure that there is no dripping or spilling that will ruin your experience. On the Tea Supply, you’ll find indeed a supply of the most efficient and functional mug with infuser. From thermos, to tumblers, to double walled bottles, you’ll find nothing but nice drinking equipment that will surely meet your needs. A tea ball infuser has been a staple household device, from the royal homes in the 18th century (read: Queen Elizabeth), and now, to the households of avid tea lovers like you and me. A tea ball infuser functions just like a tea bag, with a small mesh or perforated metal container where you can put your tea leaves in, and dip into hot water. This allows the tea leaves to interact freely with the water, making its natural taste, aroma, and oil blend in the best way that it can. Whether you are steeping for yourself or for a large group, you can choose from the different sizes of tea ball infusers available on the market. The extreme usability and effect that tea balls have on teas are what makes its tradition last, plus the fact that it is a less expensive way to make tea. Therefore, if you are looking for some tea balls, make sure you only buy from the best. 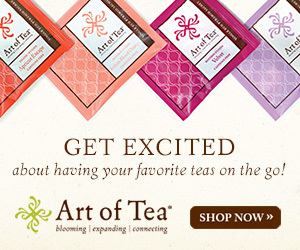 To search for and compare different kinds of tea balls and infusers, visit The Tea Supply. You may already have a collection of your tea mugs, yet, you are still craving for more. In the same way, you might just be starting to buy some, and you’re looking for the best quality tea infuser mug there is. On The Tea Supply, you’ll find different mugs that can suit your taste. You can try the Timolino VML – 35TGPI 12 oz – a powerful bottle that is versatile and keeps the temperature of your beverage even when you’re on the go. It has a steel mesh filter and a pending sip-through lid which makes sure that your drink makes no leak. Also, you can try the super sleek tea infuser mug Thermos Sipp Vacuum Insulated Travel Mug. Its double wall vacuum stainless steel interiors have the unique function of keeping the hot for five hours and the cold for nine hours. These are just two of the numerous choices that are available on the Tea Supply. If you’re looking for a tea infuser mug, then look nowhere else. Find A Great Deal On Your Infuser Mug Right Now!